To get in touch with Notnice of Notice Records, his contact information is listed below. Notnice mi general yah di real boss when yuh mix a tune it well set definetly wah voice a your studio me is a bad young artist song writer would love to link up when yo talk bout flow & style a me dat mi nah praise mi self but people tell mi alot seh mi have it enuh would love fi link up wit di real boss enuh. I'm a 18 year old singer who would love to be exposed and further in my music career. I sing and DJ and is interested in working with you in the future . Vybz Karel and Christopher martin are two of my local influences , with Jason Derulo a international icon of mines. Getting signed is not just to become famous it is to showcase my talent and better evolve myself in what I enjoy doing , and I think this will give an impact on music overall. I'm Shaneil from Raymond's Clarendon.....attend Vere Technical High school. Greetings. i'm a 17 year old boy living in St Mary who would like to become a dancehall artist. being inspired by the artist you produce, know that they are succesful in the dancehall music industry and that i want to be a succesful dancehall artist as well. please respond to my message, you can contact me by phone, the number is 18762764471 or email at dgray5210@gmail.com thank you. me rate the new riddim,it shot. write a song on it.....name-real friend dem. song well unruly just want the people hear it..
just link me if yuh have time can listen the song. 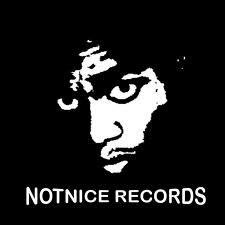 Good day and respect to one of Dancehall's greatest producers, Notnice. I have always wanted to do music from a tender age (12) but never really made up my mind to the degree where I want to do it professionally until this year. I am a Dancehall artiste as well a prospective producer. I would love to get the experience in boths fields from a producer like you if you're willing to do so. If you're interested in helping me musically that would be very much appreciative of you. Hello Notnice im a producer from Harare Zimbabwe and I would want to be the first Zim producer to do a collabo on a riddim production with you. whole heap a respect notnice, I'm a young artist looking to make it big in the music business, I have a good amount of experience in music but the studio i am currently recording out of is keeping me down and wont release my songs, you produced some of the best artist in jamaica I would be honoured if you would agree to let me record. Good day not nice my name is dwayne Wayne(twilight)a dancehall artist I really want to link with you for some riddim and do some voicing as well ,you contact me at 18768870982 or emaile at dwaynewayne9033@gmail.com.Me really want to work with you me boss. Hey notnice my name is Daniel Clarke I'm 17 years old,I want to be an artist I have songs that I think are good enough to be out there,though this is so I do not have a studio or a producer I am about to attack 6 csec subjects but honestly I really don't want to work for the government,neither do I want to sit behind a desk concentrating in a field that I don't like,music is what I really love and I would like to be apart of the music industry during school,I think you could guide me down the road of dancehall life since you are so experienced. If you find yourself having the slightest interest in me I'm asking please contact me @3725997. Thank you. looking forward to get in touch with notice records . Upcoming dancehall producer. Check my link to a riddim I produce with Vybz Kartel sample vocals. Dancehall is a genre of Jamaican popular music that originated in the late 1970s. Reggae is a music genre that originated in Jamaica in the late 1960s. While sometimes used in a broad sense to refer to most types of popular Jamaican dance music. Please check out this versatile young artist. Writes, records and mixes, please visit his soundcload or his youtube. Links listed above. Mi have some detrimental songs that you would love to hear.. Mi know all of us as Dj wah buss and really mi a carry a different style of lyrical music composition to the table.. I'll link u via email to expound on this..
watch?v=H09n4_-wbsg&index=1&list=UUmi6XPlUicaLanmzrfcoSnQ. recrded by solid records. Sign me! Will be happy! 1876-463-8504 he's really interested with the notnice record.please give him a call. I most recognize your work as being great I am the manager of dancehall young artist D Jed Eye, we did works with recordings a Spanish M.O.B. The artist as an interest in doing work with you. Contact us at 18763579802.
yow bredda a the artist them from west maybe u forget wi again but the link is still here to make. anyway we heard an the radio that u r recruting artist so we just want u know we r still available. we have some tracks an youtube you can check them out just type in thugs q an u gonna see a yellow cd pop up jus clikck an it an u see a couple tracks there. here is some contacts as well 4804243. 4405723. email address thugs-j@live.com so we can make the link from there bredda we a look forward for that respond.